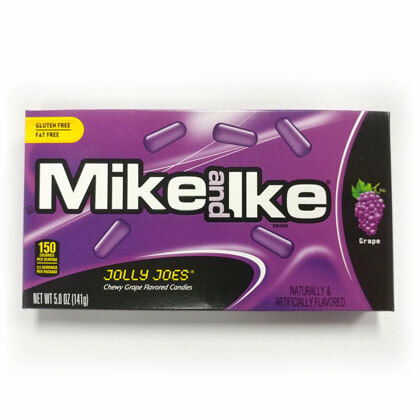 Mike and Ike Jolly Joes grape flavored chewy candies. Naturally and artificially flavored. 5 ounce theater box. Box is approx. 6 inches by 3.25 inches tall. Approx. 80 pieces per box.